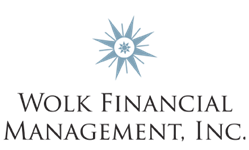 Evan Wolk, Managing Director of Wolk Financial Management, Inc.has over 23 years’ experience in the financial services industry. Prior to founding WFM, Evan worked for Smith Barney in Boca Raton where he provided his clients a broad range of financial services including the development of investment strategies and the implementation of comprehensive financial plans. His experience includes equities, 529s, fixed income, managed funds, insurance and retirement planning. Prior to moving to South Florida in 2002, Evan was a Vice President in the Securities Lending Department of J.P. Morgan (formally chase Manhattan/Chemical Bank) where he was responsible for the sales and trading of a $100 billion highly successful diversified securities lending program. He also spent four years with Yasuda Bank and Trust Company (U.S.A) where he served as the investment manager of the securities lending department. While attending The George Washington University in Washington, D.C., Evan worked for the United States Department of State where he served as an Intelligence Operations Specialist responsible for preparing the daily classified morning summary of intelligence reports for the Secretary of State. Since relocating to South Florida, Evan has become an active member of the community. He currently serves as the Chairman of the Parkland Chamber of Commerce where he has been an active member for over seven years. Additionally, he is involved with the Anti-Defamation and is a graduate of the Steinberg Leadership Institute. The George Washington University, B.A., International Affairs with a concentration in International Economics.